If you do data science in Python it is crucial to be fluent with the Pandas library. 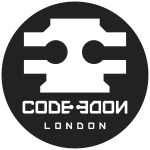 Robert Hardy will present a live-coding session where we use the Python Pandas data-science library to carry out some analysis of poker strategies. Are you interested in keeping up to date with all things Quants? Don't miss out on this month's meetup! Robert Hardy will talk about some of the issues, ideas and personal intuitions that influence his approach to coding and his choices of tools. Interested in learning more about utilising quants? Join Full Stack Quants for this month's meetup! Excel has proved to be the tool of choice for (tens of?) thousands of traders and market analysts who have been doing data science -- finding relationships between assets and economic metrics -- since times before the category 'data scientist' even existed. Guest presenter Kirill Egorov will walk us through an example of using R for clustering analysis on equity data from Quandl.